More than 150 years ago, Charles Darwin proposed the theory of universal common ancestry (UCA), linking all forms of life by a shared genetic heritage from single-celled microorganisms to humans. Until now, the theory that makes ladybugs, oak trees, champagne yeast and humans distant relatives has remained beyond the scope of a formal test. This week, a Brandeis biochemist reports in Nature the results of the first large-scale, quantitative test of the famous theory that underpins modern evolutionary biology. The results of the study confirm that Darwin had it right all along. 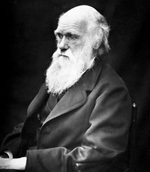 In his 1859 book, "On the Origin of Species," the British naturalist proposed that, “all the organic beings which have ever lived on this earth have descended from some one primordial form.” Over the last century and a half, qualitative evidence for this theory has steadily grown, in the numerous, surprising transitional forms found in the fossil record, for example, and in the identification of sweeping fundamental biological similarities at the molecular level. Still, rumblings among some evolutionary biologists have recently emerged questioning whether the evolutionary relationships among living organisms are best described by a single “family tree” or rather by multiple, interconnected trees—a “web of life.” Recent molecular evidence indicates that primordial life may have undergone rampant horizontal gene transfer, which occurs frequently today when single-celled organisms swap genes using mechanisms other than usual organismal reproduction. In that case, some scientists argue, early evolutionary relationships were web-like, making it possible that life sprang up independently from many ancestors. Harnessing powerful computational tools and applying Bayesian statistics, Theobald found that the evidence overwhelmingly supports UCA, regardless of horizontal gene transfer or multiple origins of life. Theobald said UCA is millions of times more probable than any theory of multiple independent ancestries. While other scientists have previously examined common ancestry more narrowly, for example, among only vertebrates, Theobald is the first to formally test Darwin’s theory across all three domains of life. The three domains include diverse life forms such as the Eukarya (organisms, including humans, yeast, and plants, whose cells have a DNA-containing nucleus) as well as Bacteria and Archaea (two distinct groups of unicellular microorganisms whose DNA floats around in the cell instead of in a nucleus). Theobald studied a set of 23 universally conserved, essential proteins found in all known organisms. He chose to study four representative organisms from each of the three domains of life. 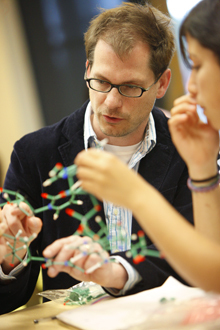 For example, he researched the genetic links found among these proteins in archaeal microorganisms that produce marsh gas and methane in cows and the human gut; in fruit flies, humans, round worms, and baker’s yeast; and in bacteria like E. coli and the pathogen that causes tuberculosis. Theobald’s study rests on several simple assumptions about how the diversity of modern proteins arose. First, he assumed that genetic copies of a protein can be multiplied during reproduction, such as when one parent gives a copy of one of their genes to several of their children. Second, he assumed that a process of replication and mutation over the eons may modify these proteins from their ancestral versions. These two factors, then, should have created the differences in the modern versions of these proteins we see throughout life today. Lastly, he assumed that genetic changes in one species don’t affect mutations in another species—for example, genetic mutations in kangaroos don’t affect those in humans. What Theobald did not assume, however, was how far back these processes go in linking organisms genealogically. It is clear, say, that these processes are able to link the shared proteins found in all humans to each other genetically. But do the processes in these assumptions link humans to other animals? Do these processes link animals to other eukaryotes? Do these processes link eukaryotes to the other domains of life, bacteria and archaea? The answer to each of these questions turns out to be a resounding yes.